This 5 drawer french low chest is made of mahogany with hand carved legs and drawers and is available in several finishes and can also be made to custom sizes. 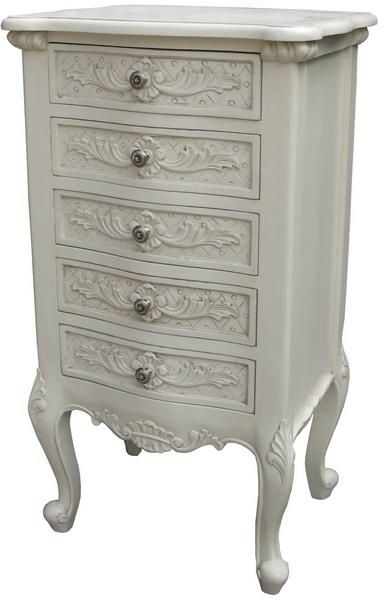 It makes an ideal low storage chest or a bedside chest and perfectly complements our other french bedroom furniture. 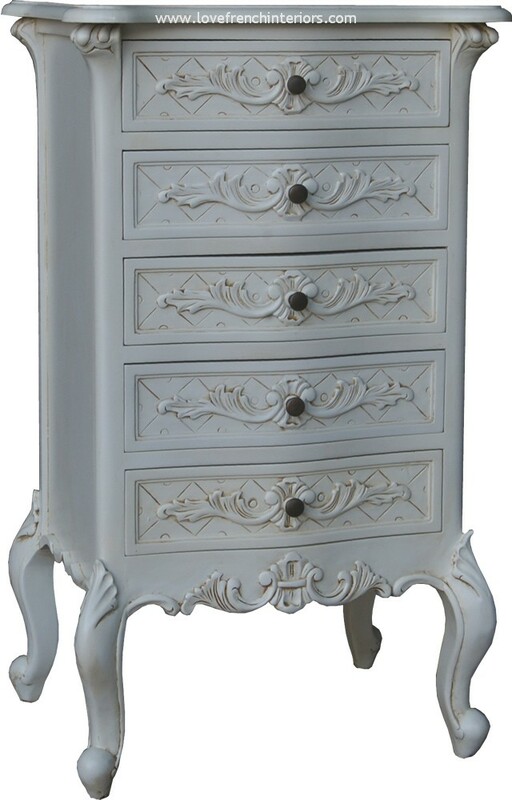 Colour/Finish: Antique White, Polished Mahogany or other finishes to order.